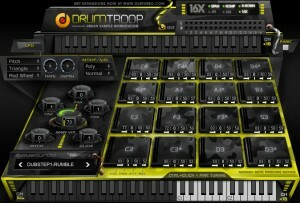 Free Drum Kits Drum Troop is designed particularly for creating hip hop and Rap music. Composing musics like hip hop rap becomes easier using this free drum machine software as it provides you with free drum samples specifically arranged for these kinds of music and therefore it can be used easily and right away. There are many kinds of drum samples for hip hop music. You may also want to check Drumbox which is also suitable for hip hop music because it is for techno music and I assume that as the same purpose of drumming style. 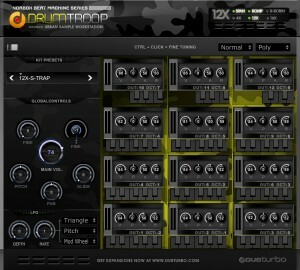 DrumTROOP is a drum kit rompler coming with 20 free drum kits. 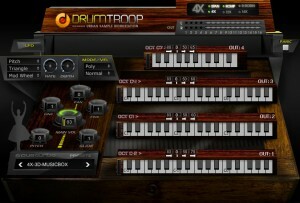 Here are what you get from this free drum vst DrumTroop. 20 free drum kits. With this number of drum samples, you can craft unlimited number of drum styles. Just use the presets, or you may experiment by editing them one by one for the drum sounds in the piano roll / editor. 128 triggers on every kit. The triggers give you convenience in controlling when using them like in live music performance. 16 outputs. When you are working with many channels like when having a concert in real time, you may need to use these 16 outputs. Universal drum placement on the first 8 pads. explained. Vol, Pan, Attack, Release per pad. 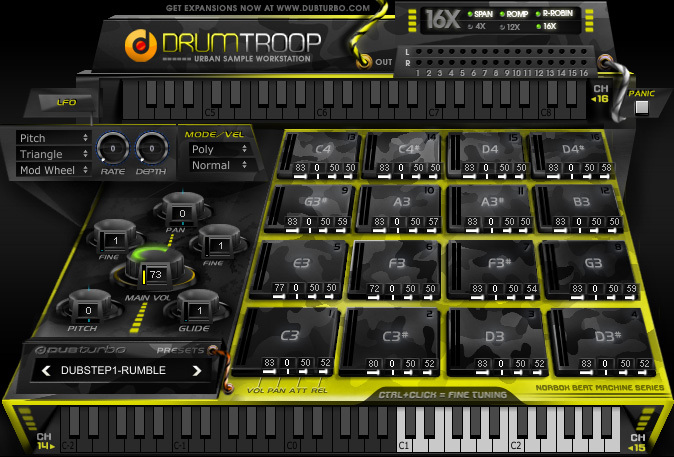 Ready to use this Free Drum Kits for Hip Hop or Rap music DrumTroop designed by dubturbo? Download this drum free vst now and try it yourself in your beloved DAW.